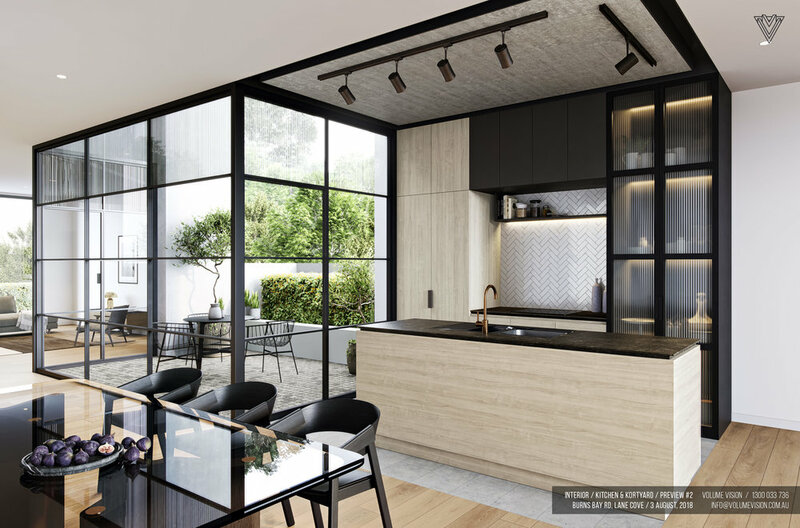 Cove Residences is a boutique townhouse development located in the heart of Lane Cove, NSW. 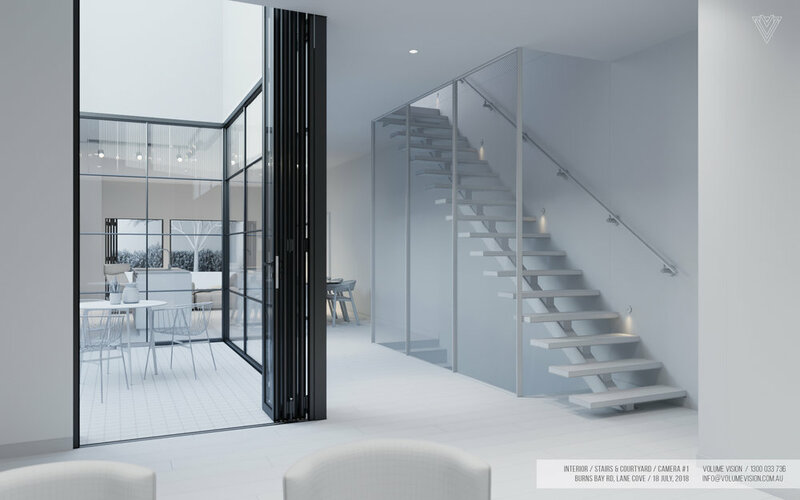 The aim was to showcase the unique features and materials in each residence with the 3D renders whilst still being informative. 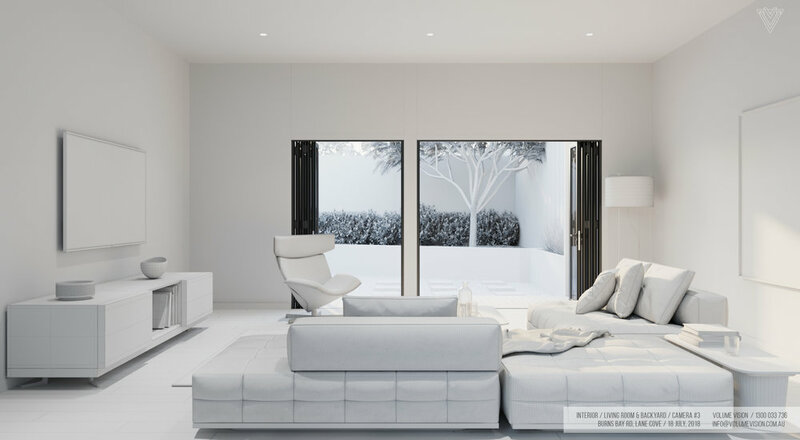 The brief was to provide 3D renders that evoked high-quality family living. We suggested to use contrasting bespoke furniture with high quality finishes to compliment the materials throughout project. We presented these furniture & styling mood boards to the client for approval before going ahead with camera angles. It was important to show all the main spaces in the design. Each townhouse had two private courtyards and living areas, so when created the camera angles we ensured the viewer would be able to see all areas, some informative and some more architectural. 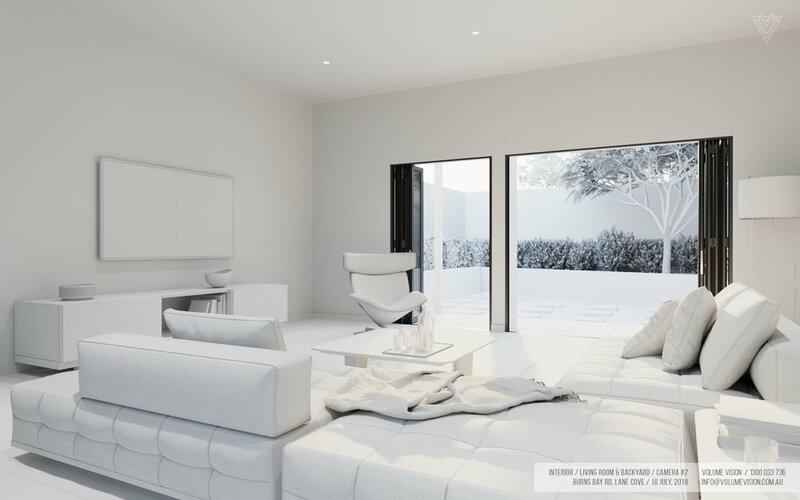 Camera angles were presented to the client for Streetscape, Kitchen, Living & Patio, Staircase and the Bathroom. 3 - 5 camera angles were provided for each space. All angles were complete in 7 business days. Preview 1 for the chosen angles was presented to the client. The main change was dramatising the lighting in the Streetscape for a more moody feel. Preview 1 for all images took 7 - 8 business days to produce. Based on Preview 1 feedback, we amended the images and Preview 2 was presented to the client. Preview 2 took 5 - 7 business days to produce. All images were finalised within 4 - 7 business days.